Antarctica is the world's seventh continent, and for many, it represents the final frontier of adventure travel. It's a place so remote that few will ever experience it; and so beautiful that those who do remain under its spell forever. Largely untouched by humans, it is the ultimate wilderness - a fantasy land of blue-tinged bergs that belongs to no one but the penguins colonizing its ice floes and the whales sounding in the deep. There are several ways to reach Antarctica, the most popular of which is to cross the Drake Passage from Ushuaia in southern Argentina. Other possibilities include flying in from Punta Arenas in Chile; or booking a cruise from New Zealand or Australia. In the past, research ships have embarked on Antarctic expeditions from both Cape Town and Port Elizabeth - but as yet, there are no regular Antarctic cruises scheduled for departure from South Africa. However, for those with a considerable budget, South Africa does offer one option for tourist travel to the end of the Earth. Luxury tour operator White Desert prides itself on being the only company in the world to fly into the Antarctic interior via private jet. Set up by a group of explorers who traversed the continent on foot in 2006, the company offers three different Antarctic itineraries. All of them depart from Cape Town and touch down approximately five hours later inside the Antarctic Circle. Most visit White Desert's own luxury Whichaway Camp, which is entirely carbon-neutral. It is a masterpiece of old-world luxury inspired by early Victorian explorers and includes six spacious sleeping pods, a lounge and dining room and a kitchen staffed by an award-winning chef. Emperors & South Pole - This eight-day itinerary takes you from Cape Town to White Desert's Whichaway Camp. From here, you'll embark on daily activities ranging from ice tunnel treks to scientific research base visits. You can learn survival skills like abseiling and rock climbing, or you can simply relax and absorb the breathtaking beauty of your surroundings. Highlights include a two-hour flight to the emperor penguin colony at Atka Bay (where penguins are so unused to human contact that they allow visitors to come within a few feet); and a flight to the lowest place on Earth, the South Pole. Ice & Mountains - Also departing from Cape Town, this four-day adventure starts with a flight to Wolf's Fang runway, situated beneath the jaw-dropping peak of one of Antarctica's most iconic mountains. You'll spend the first day exploring the Drygalski mountain range on foot with the company's experienced guides, before flying on in a separate aircraft to Whichaway Camp. With the camp as your base, you can spend the rest of your time on the White Continent being as relaxed or as active as you like, with daily excursions ranging from Antarctic picnics to trips to the glaciers of the coast. 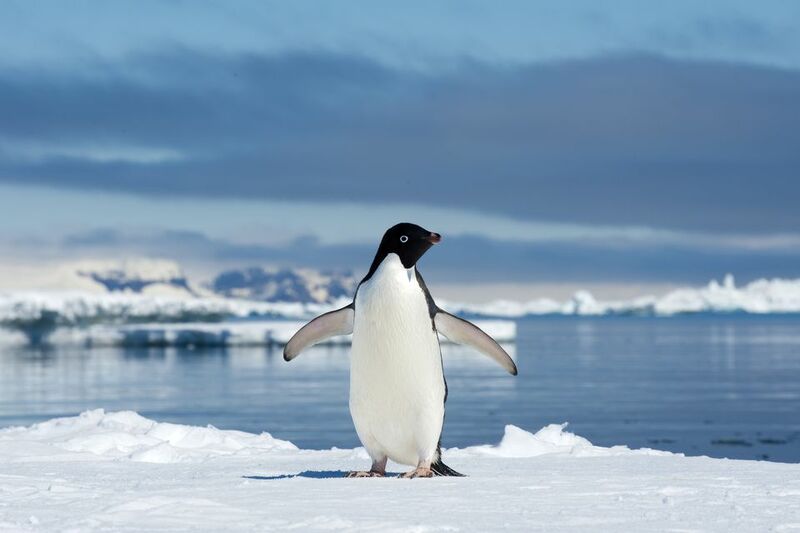 Greatest Day - Geared towards those with limited time and an infinite budget, the Greatest Day itinerary lets you experience the wonder and remoteness of the Antarctic interior in just one day. You can book a single seat, or charter the company's Gulfstream jet and invite up to 11 guests. Either way, you'll fly from Cape Town to Wolf's Fang peak, and from there hike to the top of Nunatak mountain for unrivaled views of the surrounding landscape. The hike is followed by a Champagne picnic; and on your flight home, you'll enjoy evening drinks chilled with 10,000-year-old Antarctic ice. Although no Antarctic cruises currently operate from South Africa, it is possible to combine your polar adventure with a visit to beautiful Cape Town. Several cruise companies offer trans-oceanic itineraries that depart from Ushuaia and travel to Cape Town via Antarctica. One of these companies is Silversea, whose Ushuaia - Cape Town itinerary lasts for 21 days and includes stops at the Falkland Islands and South Georgia. You'll also visit the remote islands of Tristan da Cunha, Gough Island (home to one of the largest seabird colonies in the world) and Nightingale Island. Traveling by sea offers the opportunity to experience the Antarctic in the same way that the explorers of old would have done. It also creates better opportunities for whale-watching and pelagic birding; however, those that suffer from seasickness should be aware that the Southern Ocean has a reputation for being very rough. It is undeniably the most affordable option. Although prices seem modest in comparison to those advertised by White Desert, for many of us, cruises like Silversea's are still well over budget. Don't despair, however - penguins are one of the major highlights of an Antarctica trip, and you can see them without leaving South Africa. The Western Cape is home to several African penguin colonies, the most famous of which is the one at Boulders Beach. Here, you can walk within a few feet of nesting penguins and even swim with them in the sea.